Acadia University is said to be home to a ghostly Baptist girl who hanged herself in the stairwell when she learned she was pregnant. Besides this, witnesses have reported lights that go on and off, doors that open and close, strange light anomalies, unexplained sounds, voices, moving objects, and having strange visions in the vicinity of the suicide. 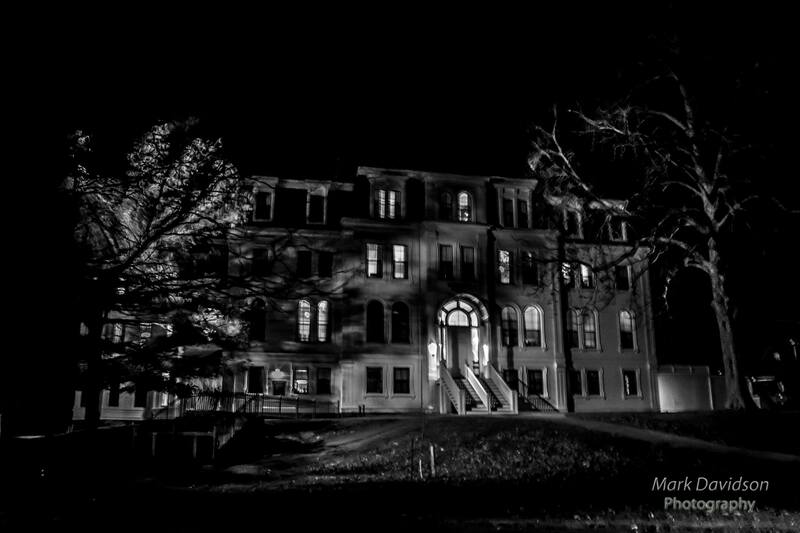 The haunted place at Acadia is Seminary House. That is where the girl hung herself. I currently live in the building. It’s the oldest acting residence in Canada (built in 1878). I’ve never seen anything, but I’ve had people tell me that they hear weird sounds from the walls.